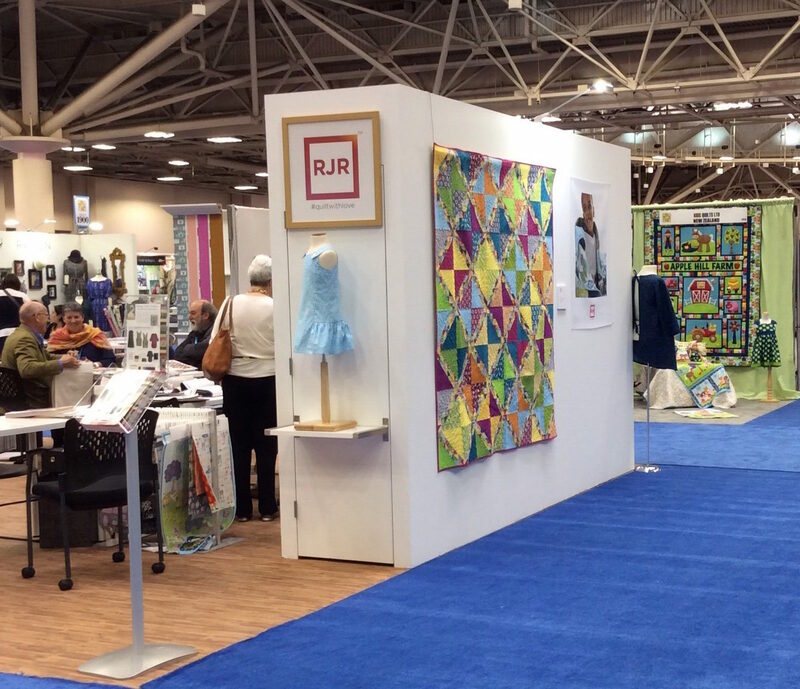 Well, I may not be at Quilt Market, but I am happy to have something hanging there! I recently finished a quilt pattern for RJR Fabrics called “Fair Day”, made with the line “Pie Making Day” by Brenda Ratliffe of Pink Castle Fabrics. The sashing is all 1 1/2″ finished HSTs, and the pattern will be available for free on the RJR site soon! I’ll let you know when that goes live. The finished quilt is 72 1/2″ x 72 1/2″. I can’t wait for this one to come back to me! But for now, I can satisfy myself by looking at pictures. Congrats Mandy….doing us all proud!!!! 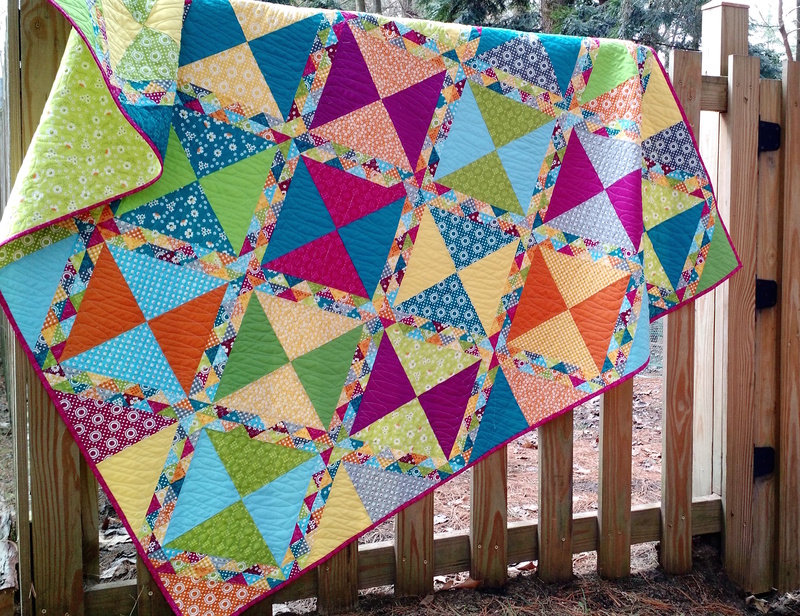 I love the colors in your quilt, and the sashing is amazingly accurate. You make me want to get a die cutter, if it can help me get those kinds of results! Oh, goodness, look at all those little triangles! 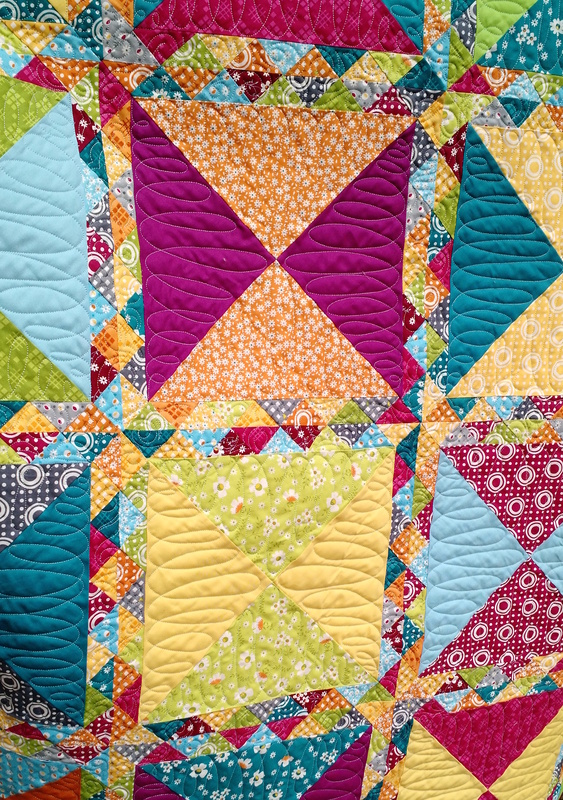 Really pretty, I like the mix of the tiny HST sashing and the HST blocks. Thank you! The little triangles really make it, I think. It was a very happy quilt to make, once I figured it all out, ha! I love the bold graphic impact that the little HSTs make. Wild amounts of color is always the right choice. Well done! Thank you! I can’t wait for this to come back home.